Gossip Girl: sneak peek into Season 4 fashion! I 'm sure that all of you Gossip Girl fans out there know that Season 4 premieres next Monday, right? Well, here are some collages that I made featuring some of the outfits on the first episodes of the season. Will you be tuning in for season 4? Yay! When is it airing over here though babe? I stupidly left you another comment on the wrong post - see neon nails post, saw some cool polish that you'd like! I love Gossip girl. I watched all 3 seasons again this summer and I was so obsessed I called my friend Blair (her name is Claire!). I can't wait for season 4 although it might take a while before it gets here. My favorite style is Serena's, and she's gorgeous too! Of course I'll be tuning in! I don't love Gossip Girl as much as I used to (90210 has stolen my heart!! And Little J annoys me with her broodishness..hahaha) but I LOVE love love the wardrobe on this show! Vanessa is hands down my favorite..she has boho-chic down to a T! 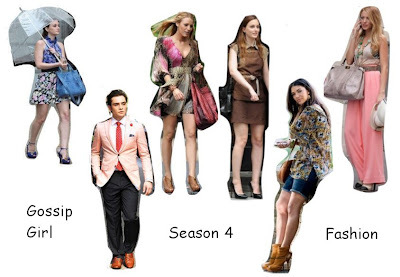 I sooo Love Gossip Girl! ;) I can't wait for the next season! absof****glutely :)It's crisp, lively, witty and I just love the actor playing Chuck Bas, he's brilliant! Is it going to be broadcasted from the same Greek channel or what? @tina_mbc: Hi Hun! For sure, I'll even youtube an episode (or a portion of one) and let you know :) I could definitely use the fashion tips! 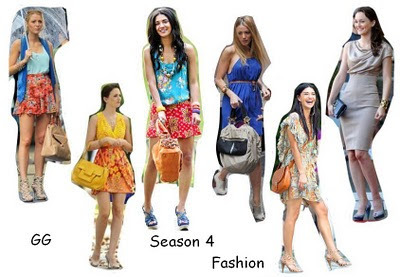 GG is an enless source of style inspiration! I am not really into the plot, but the clothes are to die for! Polla filia! But then, it may be that I love Chuck in whatever he's wearing..he's my favorite! Hey Lovely blog sweetie!! Love your look of the week. Becca Sheer Lip Tints: review and swatches!